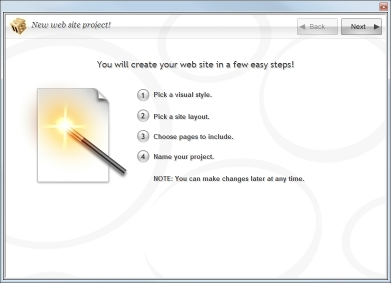 The New Project wizard allows you to quickly create a new web site project, structure and select a theme (both visual and content). Access this wizard from the Main Menu. Navigate between windows using Next button. If you need to go back to previous step, use Back button. You are prompted to select a visual style for your site. Browse through the templates listed on the left (many of these are on-line and will download content once you select them). 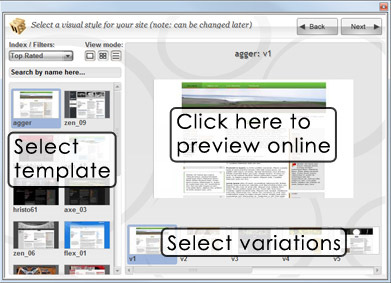 After selecting a template you can also browse style variations available along the bottom right of the window. You can also preview the templates (full size and on-line by clicking on the ) if needed. Once you have made your selection, proceed with the next step. Note: You can always change the visual style later within EZGenerator, using Web Template dialog. Select a project type for your site. This tailors the website for uses such as 'personal', 'business' or blank. EZGenerator will then preselect a set of pages suitable for the use specified. 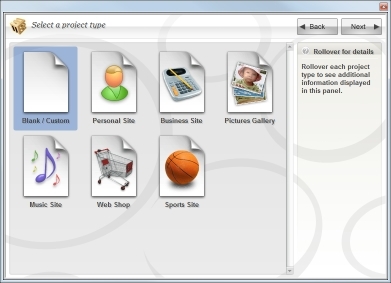 For example, if you select project type Sports, EZGenerator will select News, Contacts, Links and Images pages for you. Of course, you can remove some of the pages and select new ones on the next step (Choose pages). Blank/Custom - Make a custom selection of pages or to start with blank project. Personal Site - Share your personal info, favourite links and contact information. Business Site - Online presentation of your business. Pictures Gallery - Picture galleries, including one of the many slideshows available in EZGenerator. 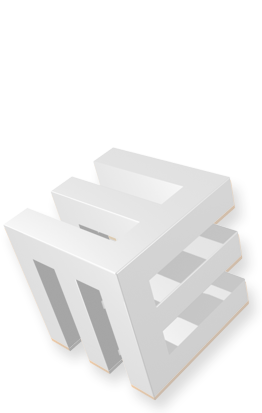 Music Site - Share info about your music band or composition, using EZGenerator advanced multi MP3 player. Web Shop - Build your own web shop with a products listing page and an e-commerce solution. Sports Site - Share information about your sports club of favourite sport activities. Specify what pages to be included in your site. If you have selected project type other than Blank, you will have here a few pre-selected pages. You can customize your selection here. The 'Blank' project type has no pages selected and will need to make a completely manual selection of pages (if any). 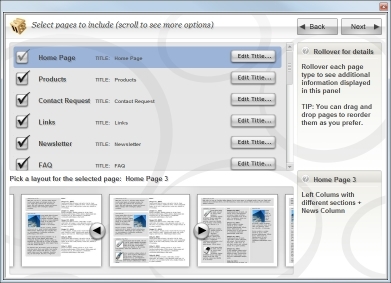 Place your mouse-cursor over each page to see an additional explanations for each page type. Use the Edit title button to edit the page title. For each selected page type, pick a preferred layout. Note: You can always add or delete pages later within EZGenerator, using Add Page dialog. Enter descriptive information about you site. 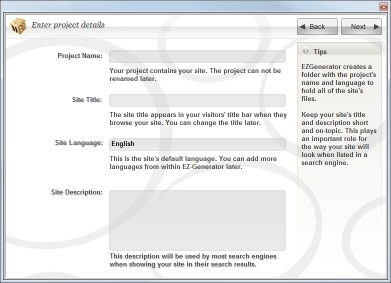 Project Name: EZGenerator creates a folder with project's name to store all your site files. Set default Language. Note: You can always add more languages later within EZGenerator. Fill in Site Title and Description fields. Important: Keep your site title and description short and on topic. This information is used by search engines to categorize your site (google 'search engine optimization'). Press the Continue...button and EZGenerator will build the website project and will generate the selected pages for you. Now, you can start editing and creating page content. Easy!